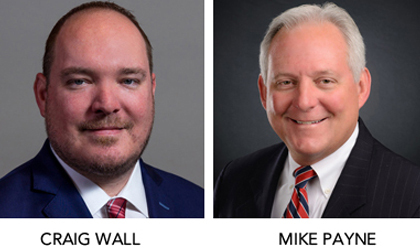 NEW YORK CITY – May 23, 2018 – The Energy Professionals Association (TEPA) recently introduced the organization’s new Northeast Board President, Craig Wall of Patriot Energy Group and Northeast Board Vice President, Mike Payne of APPI Energy. The announcement was made during the 4th Annual Northeast TEPA Conference, which was held in New York City on Wed., May 16, 2018. Wall is replacing Jeff Lenetsky, who served as the President from 2016 to 2018. A 501 (c)(6) organization, all of TEPA’s Board and Committee members volunteer their time and expertise to advocate on behalf of their members and consumers in deregulated energy markets across the United States. TEPA members provide expertise, and exhibit ethical practices and a high level of professionalism as they assist consumers in the evaluation and purchasing of electricity, natural gas, and other energy services in the dynamically evolving energy marketplace.